August 3 2015 - It's all too common, this scenario, you're conducting an interview to fill an online marketing position, and 50%+ of your interviewees are copywriters who are trying to make a career shift to something else. Every team can do better with copywriters - their instant creativity and ability to come up with content at the drop of a hat is amazing. However, copywriters in many organizations have a shaky level of job security mostly because they don't enjoy the same monopoly for their skills as most other internet marketers. There are good writers throughout any business. If push came to shove, the work of a copywriter could easily be assigned to someone else without formal copywriting training. Maybe the work done would not be as good, but nonetheless it would be good enough for the business to make do with in dire circumstances. This means that every organization has perhaps 80% of its current staff that can do the work of a copywriter along with their normal jobs. If the company needs to make cuts to its employees, the copywriting team will likely be the first to be let go. Commodity skills are those skills which non-professionals feel that they can do as well as professionals with minimal training (keyword: feel). It also refers to any skill that can move from an outsourced service to the in-house team without having to hire any additional staff members. In the above description, copywriting is a commoditized skill. In the practical sense, most skills in internet market are to a small extent 'commodity-izable'. You've probably heard about the company that gauges the performance of an SEO agency based on the number of links acquired, and pays them accordingly. Of course, such teams can use black hat techniques to rig the numbers and the client would not be any-the-wiser. To the client, link-building is a commodity skill. Every internet marketer should have a diverse set of skills that is what the market has been slowly shifting towards over the last few years. Copywriters are not the only ones that stand to benefit from diversification. Today, it's not enough to know copywriting or community management or customer service/experience enhancements. In truth, most people are demanding cheaper services in an atmosphere where every cent counts. In future, the internet marketer will need to be more of a marketing technologist - a person that is conversant with consumer behavior and the host of techniques required to transform those techniques to the business's advantage. In future, this will be demanded of every marketer looking to advance in internet marketing. The message is clear: expand your knowledge base and skill-set or switch to something else entirely. It is much easier to expand your skill set than to accomplish a complete career change. To begin with, flow into the careers that are related to whatever you have training and experience in. If you are unable to gain cross-training through an officially certified program by your employer, find an employee in the field you're interested in and make local arrangements for mutual skill-sharing. The level of commoditization will increase with the increase in the technical shrewdness or data-centeredness of a skill. Hence, in order to have a skill set that will be highly demanded for hence more secure, begin by acquiring skills that require intensive training or prove their worth to organizational data requirements e.g. online advertising and analytics. Do not shy away from pursuing skills beyond your current skills and embrace every opportunity to nurture your talent. Be prepared to get resistance from others and yourself, since this is common when you're going against the grain of your expected career. 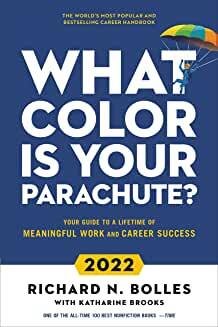 If you decide to change careers completely, refrain from giving yourself a brand related to the career you are leaving, as this will be counterproductive. Make legitimate effort to prepare yourself for the career you intend to move into, rather than just making a blind shift. Look sincere by making effort to learn what will be required of you and gaining some hands-on experience where possible. While not everybody is interested in being an all-rounded internet marketer, it's important to know more than is in your core training repertoire. Until now, it was acceptable to have just a single area of skill, but that will not serve you in future. By venturing further out, you'll be more efficient at your current job and have more avenues to explore in the event you are hit by the every-present danger of downsizing. Michael Bentos is an experienced digital marketer and part of the team at ParadoxSEO.com - the powerful platform that makes SEO simple. He runs a successful SEO agency providing SEO consultancy to clients throughout the world. You can connect him via linked-in.